Last year there was a lot of focus on UI and UX design – but what about the psychological motivations of user interactions? While we don’t talk about ‘psychology-driven design’ on the web, advertising agencies have been keen students of the public mind from their earliest days. Unsurprisingly, they often have a psychologist or two on the payroll. So, that leads to the question: can you use psychology to boost your web conversions? The answer is: absolutely. Why not try it this year as you get your site off the ground. Positive reinforcement – or the idea of rewarding good behavior – is as old as civilization itself. While some might see it as a manipulatory practice, the fact is good design changes minds. But how do you work it into your conversions? Each January we see plenty of "buy one – get one free" offers – but don't be afraid to offer a little more. You want to challenge your visitor because most people like a good challenge. Try crafting your words to make yourself appear a little "vulnerable" as the Maintenance Free does in the image above. You want your visitor to say "challenge accepted". One of the simplest methods to achieve this is the "100% guaranteed or your money back" but also try to think outside of the box. Try alleviating their fear of commitment with a high reward. Perhaps the pitch is: "we're 100% certain that you'll enjoy your membership that we bet our house on it". Ok, maybe not quite that big but you get the point. Narrowing the number of consumer choices has its place but it can also prove to be restricting to some. Inversely too many choices can create what is known as the "paradox of choice". This is caused by offering too many options which in turn paralyzes and overwhelms the consumer making them unhappy. It's crucial to find a balance between the 'paradox of choice' and the one-way street. That will usually mean offering 2-3 choices of action instead of just one. Your user is more likely to find a choice that best suits them and ultimately convert. For example, your goal may be to encourage users to download your app. Rather than only offering them the download option, you might want to offer three CTAs, in this case, which you might title "See Live Demo", "View Features" and "Download Now". The actual labels and the executable action is entirely up to you. Deadlines are motivating. When it comes to trying to get potential consumers to actually consume initiating a countdown can be beneficial especially this time of the year. Consider the driving force behind the annual Black Friday sales. Sure, the huge markdowns are important but the core component is the subconscious fear that is instilled within the masses'. It’s ‘FOMO’ – Fear Of Missing Out. Scarcity drives demand and that demand turns into sales, so consider using "limited time" messaging for your product or service. The objective with designing countdowns is to encourage people to commit to a decision. Try this as a test. The next time you propose a movie night with friends, be sure to add a time ultimatum e.g. "I need to know by lunchtime tomorrow". You'll probably be surprised to see that you'll get more decisive answers without actually having to do much work. It works the same with design. A lot of websites are bound to pop up in the first two months of this year, some of them legit and others not so much so users are going to be wary. This is why you must be upfront. Let potential converts know what you want and what they should expect during and after conversion. Sharing any pertinent information or even information that may not be as crucial lets the user develop trust for you and your business. The more trust that you receive the more the likelihood of conversion increases. "Trust involves the juxtaposition of people’s loftiest hopes and aspirations with their deepest worries and fears". While it is hard to gain trust it is very easy to lose it due to these underlining complications of worry and fear. Providing descriptive text is just one way to share information. Showing a visual guide either animated or static to show how they should go about their conversion is another viable option. There are many options aside from these so there really isn't any excuse to be secretive. Not many people are aware that Nintendo was founded way back in 1889 to produce hand-made hanafuda cards. They have thrived for well over a hundred years by reinventing their entire business every few decades. Just as surely, no single plan or idea can guarantee you continual success which means you will need to consistently evolve your approach. As web and mobile design advances so will the tactics for increasing conversions. If you failed in your conversion goals go back to see where you slipped up. This is where research, surveys and tests will come in. Don't be afraid to look at similar niches and try to figure out how they are succeeding where you failed. Keep a positive mindset, stay true to your brand and don't let a loss get you down. 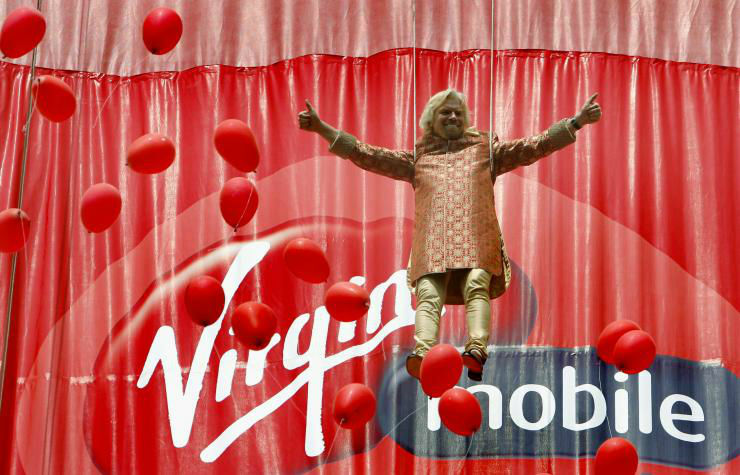 Take Britain's 12th richest man Sir Richard Branson for starters. A sufferer of dyslexia coupled with cognitive troubles, Branson performed poorly in school. Later his headmaster commented he'd end up either in prison or a millionaire. He was correct. The drive to prove people wrong and refusing to take even multiple business failures lying down kept Branson going. It was his commitment to being resilient, persistent, and constantly looking to learn from his mistakes that brought him success. As Morgan Wootten once said "You learn more from losing than winning. You learn how to keep going." So if you don't convert it isn't the end of the world or your website for that matter. You just have to find what works for you. So there you have it, five simple but effective psychology based practices. Make sure to craft them to fit your particular niche however for better success. Understanding your market coupled with these crafty psychological techniques will hopefully get you more converts. What do you think about using psychological tactics in web design marketing? Do you use any? Let us know in the comments.